There are question marks over the extent to which petrol companies are passing on rock-bottom oil prices to consumers at the pump. Petrol companies have increased their margins since this time last year, when oil prices were double what they are now. The amount they charged over and the above their costs – taxes, import and refining costs – rose to 38.5 NZ cents per litre (cL) over the week ended August 21. This was while the price of Dubai crude oil sunk to US$48 a barrel (it’s since fallen further). The regular petrol importer margin was 34.6 cL during the same week last year, when the oil price sat at US$100 a barrel. 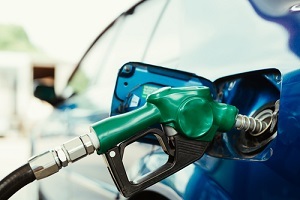 Ministry of Business, Innovation and Employment (MBIE) figures show the regular petrol importer margin has increased since 2009, despite the oil price fluctuating. The average petrol importer margin has increased from 17.3 cL in 2009, to 24.0 cL in 2012 and 33.0 cL so far this year. Meanwhile, the average oil price has moved from US$78 a barrel in 2009, to US$109 in 2012 and US$56 so far this year. While this trend appears concerning for consumers, one should note the petrol importer margin doesn’t take the discount vouchers petrol companies give customers into account. It is likely the margin wouldn’t have increased as steeply as it has, if this was taken into consideration. Labour’s Energy spokesperson, Stuart Nash, is calling for a select committee inquiry into the matter. He says MBIE needs more information from petrol companies so there can be more transparency on the issue. He points out margins are close to the levels they were at in February (40 cL), when the Minister of Energy and Resources, Simon Bridges, sent petrol companies a letter raising his pricing concerns with them. Nash says, “Margins are also at the level where the chairman of the Finance and Expenditure Select Committee (National MP David Bennett) has said that he would consider an inquiry into the pricing and competition along the petrol supply chain”. He can’t say whether petrol companies are doing anything wrong, as they are providing authorities with the information they’re required to, but says an inquiry is necessary for there to be certainty. From there, the matter could be referred to the Commerce Commission, if members found petrol companies to be behaving anti-competitively. Bridges says there’s no need for a select committee inquiry. “While it is of course disappointing to see petrol margins rise again, several things have happened since I warned the petrol retailers they were ‘on notice’ in February”, he says. “MBIE has worked with the industry to address concerns that its margin reports don’t adequately reflect regional pricing and discounting practices. Changes will soon be made to MBIE reporting to better reflect these. “Also, in July Z Energy applied to the Commerce Commission to acquire Chevron NZ. The proposed acquisition is significant for the market and information made public after the Commission’s clearance assessment will likely provide useful insights into the nature of competition in the market.